Crozonia Issue 1 also available through Haven Distributors. In addition to Diamond Comic Distributors, retailers can now order Crozonia #1 through Haven Distributors. The Haven order code is: CROZBEA001. Just kidding, it's actually the Porter Airline lounge, which is pretty swank. 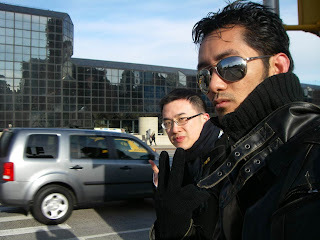 My partner, Marvin Mariano has never been to NYC before, so I'm going to have to put up with all his tourist antics. 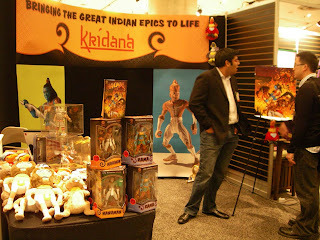 One of the first booths we saw, Kridana a toy company creating Hindu themed super heroes. They've got one of the last covers from the late Michael Turner. The lobby at Toy Fair - HUGE! 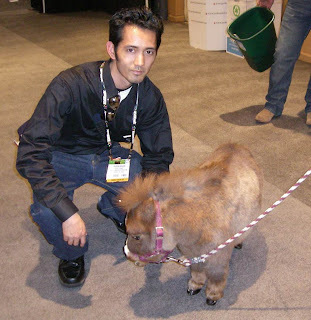 Marvin with the world's smallest horse. Getting to see my artwork on the latest Matchbox toys was a thrill! Hey, they're re-using my artwork. Do I get paid royalties? 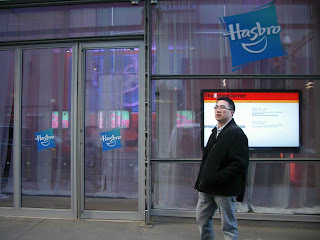 Just outside the Hasbro 'Booth' in Times Square. In the past 12 months, we've worked on Tranformers 2, Indiana Jones, Marvel Super Hero Squad, and Transformers/Star Wars. A cool article about Beach CS and Crozonia! 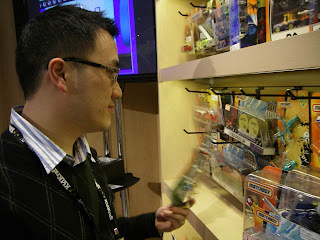 Back from NYC Toy Fair! I flew back from NYC Toy Fair last night. 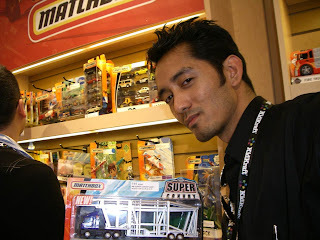 Had a great trip meeting lot's of toy companies. 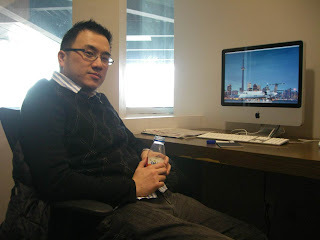 Hopefully this will grow the studio's creative services division. 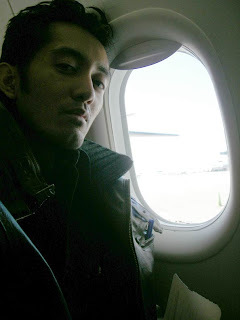 My business partner, Marvin Mariano accompanied me. This was his first time in New York, so he took a lot of pictures! We will post to our blog soon! Crozonia is now featured at the brand new Creator Owned Blog. The Creator Owned Blog(COB) is an outlet for independent publishers and creators publishing creator owned material to promote their latest works and where readers and retailers can go to purchase the books. I'm not at New York Comic Con this weekend. Unfortunately I decided to skip the 2009 NYCC this year for a variety of reasons. 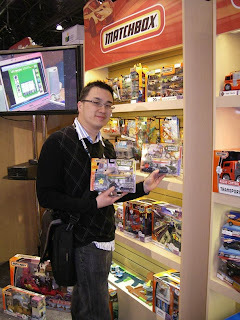 - First and foremost, I made a commitment to go to Toy Fair in New York the following weekend (Feb 15-17). It would have cost too much to do both shows. - The second reason, I don't have a fourth issue of Crozonia yet. - And the third, it's February! New York is colder than Toronto this time of the year. I think it's because of the wind tunnel effect in Manhattan. I loved exhibiting last year because my wife and I were able to spend an entire day after the Con just walking around in Central Park. For the New York Crozonia fans that come by the booth each year to pick up a new issue, I'm so sorry I couldn't make it. I will be back in full force either at the Big Apple Con or the 2010 NYCC. Also, Crozonia #4 will be released in store in October this year.